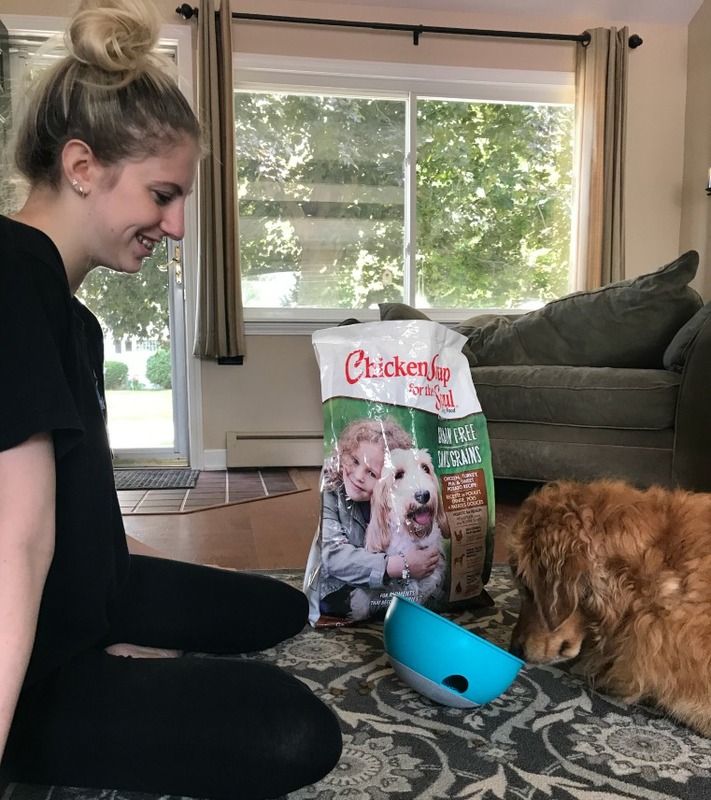 You may recognize the name, Chicken Soup for the Soul from the series of books that are very popular, but did you know that have a line of dog food? This post is sponsored by Chicken Soup Pets. I am being compensated to help share Chicken Soup for the Soul dog food but we only share information we feel is relevant to our readers. Chicken Soup Pets is not responsible for the content of this article. 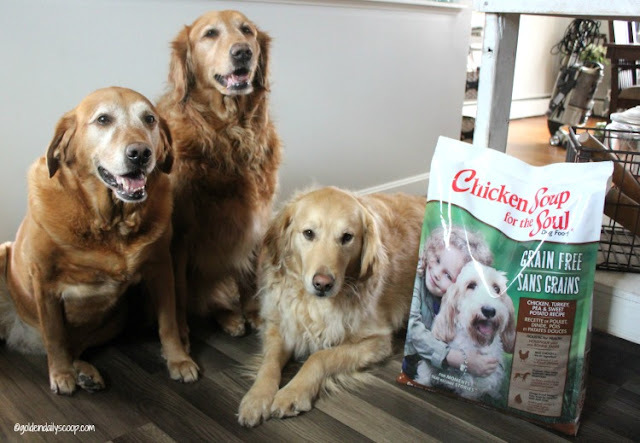 Six months ago we were introduced to Chicken Soup for the Soul dog food and we have been feeding it to the Goldens ever since. Not only do they love this food, we love the company and what it stands for. 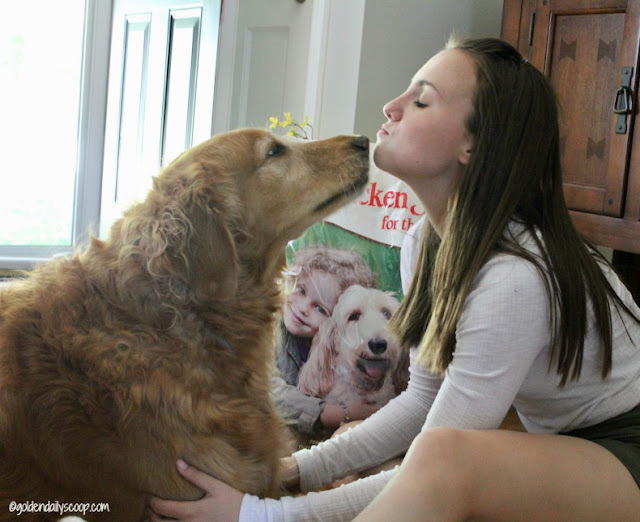 "A Healthy, Happy Pet = A Healthy, Happy Home"
Chicken Soup for the Soul is a family owned and operated business that is centered around one purpose, to fill homes with inspiration and joy. 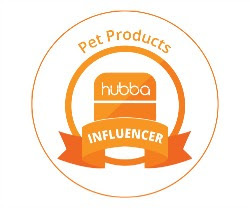 They understand that pets have the power to do just that which is why they are so dedicated to getting the right nutrition at home for our pets. 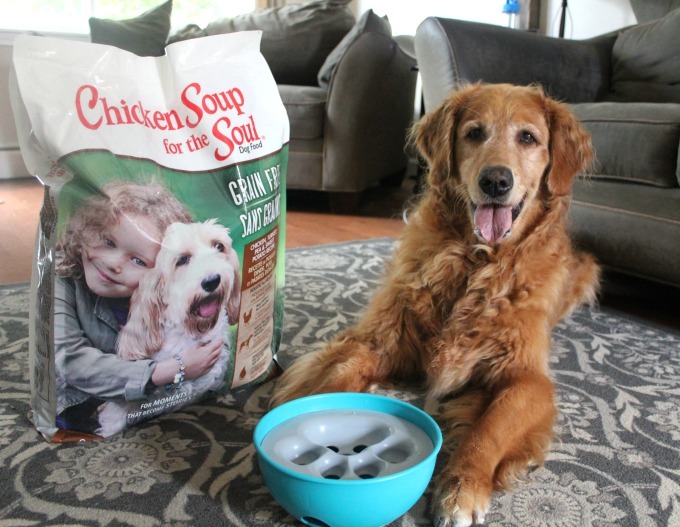 "Real Food Served With Love"
Chicken Soup for the Soul dog food makes complete, balanced meals created with solid nutrition and simple ingredients. 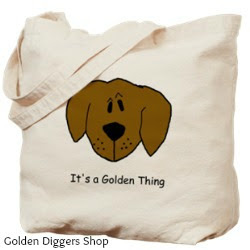 They have an extensive line of both wet and dry dog food for all stages of life. Their products are made in the USA and contain no corn, wheat or soy as well as no artificial colors or flavors and most importantly, no by-product meals. Chicken Soup for the Soul makes it easy and affordable to bring home simple, delicious and healthy food made from high quality ingredients. 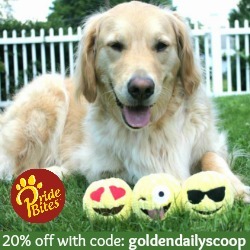 As a dog owner, there is nothing more important than keeping our Goldens healthy and happy and that is why I will continue to feed them Chicken Soup for the Soul dog food. 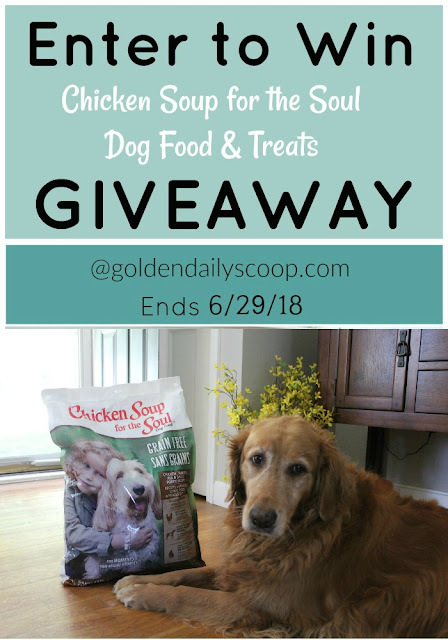 Want to try Chicken Soup for the Soul dog food? 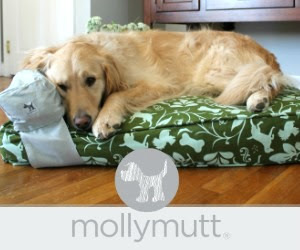 Enter to win our giveaway below! One lucky winner will win one 15lb. bag of dog food and two bags of dog treats. Open to US residents, 18+ Ends 11/20/18. 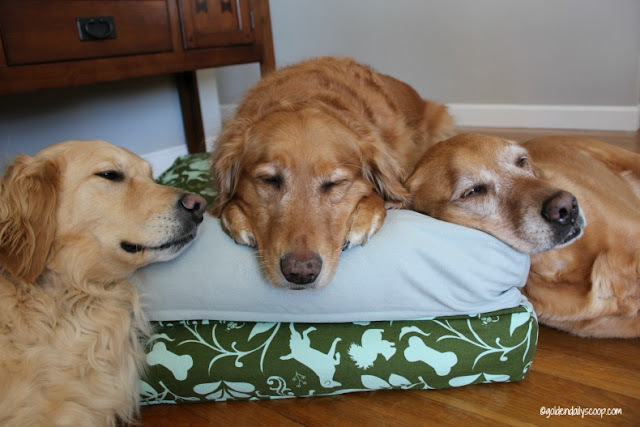 The joy of being a dog has no age limit. Whether they are 4 or 10 years old - they love to play, it's just up to us to decide what type of play is best suited for their individual needs. 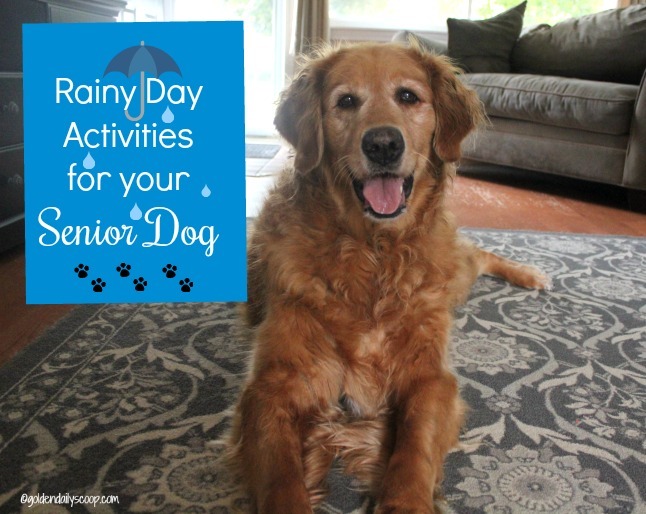 This summer we have had our fair share of rainy days and although Miley, our 10 yr old senior Golden loves to be out in the rain, we've had to come up with some fun ways to keep her happy indoors. Today I thought I would share how we keep her active and engaged both physically and mentally on those rainy days. 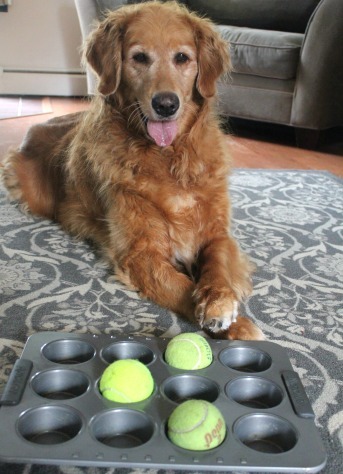 Take a muffin tin and hide some treats under a few tennis balls and let the fun begin! When I first did this, I thought for sure Miley would just take a ball and run but she actually enjoyed sniffing out the treats and left the balls alone. 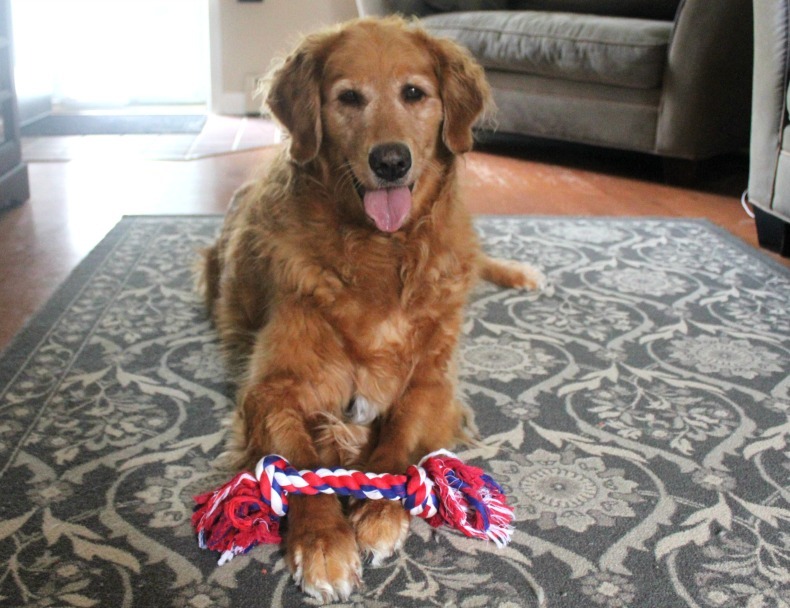 A game of tug of war will depend on your dogs physical and activity level. Miley acts like a puppy when she sees a tug toy so she is all in with this old school game. 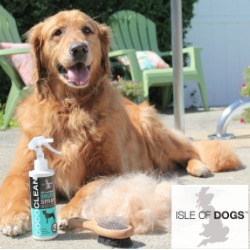 We were introduced to dog puzzles a few years ago, they are a great interactive tool for any dog of any age. Just hide some treats in the puzzle and watch your pup entertain themselves. This is one of Miley's favorites! We like to keep meal time for Miley fun as well. 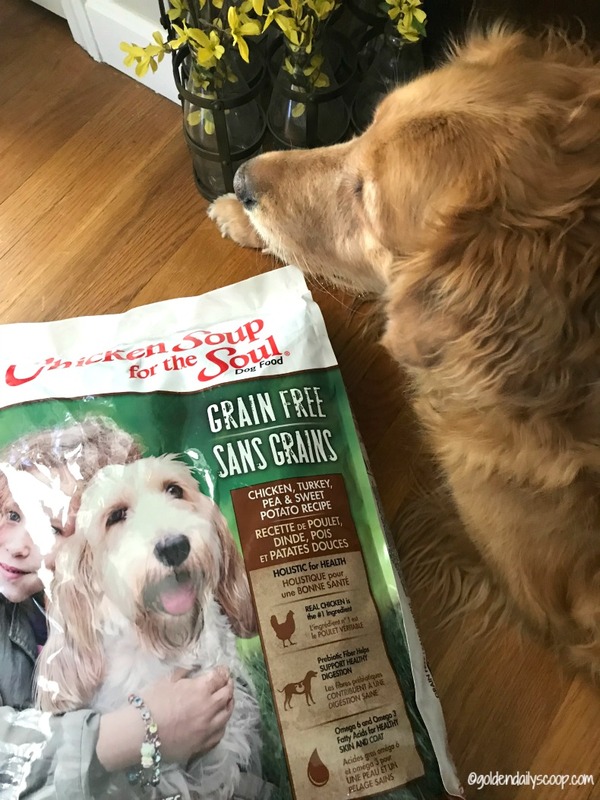 For the past few months we have been feeding her Chicken Soup for the Soul grain-free dog food and she LOVES it! She has never been the kind of dog that wakes you up in the morning and can't wait to eat, but she enjoys this food and is doing so well on it. Her skin, fur and ears have never looked better since we eliminated grain from her diet. Changing up mealtime with a slow feeder is a great way to encourage enrichment for your senior dog. 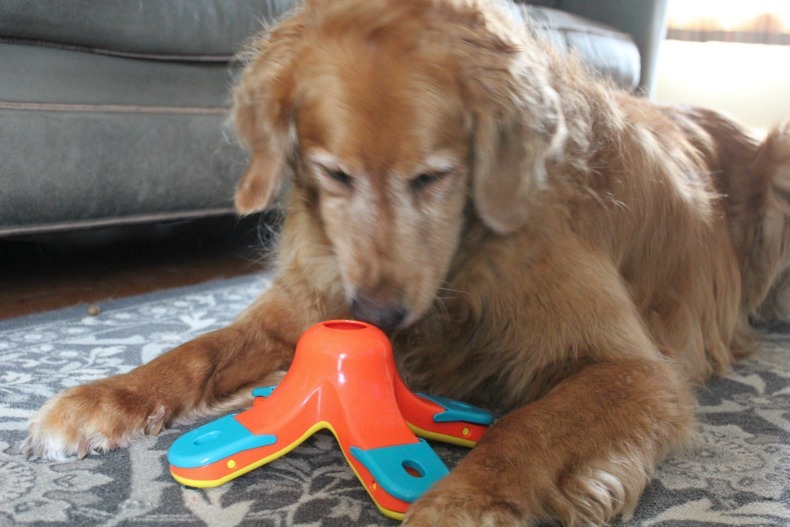 What is usually a routine part of their day can be turned into a fun brainteaser that will slow down mealtime and satisfy your dog's hunting ability in a new and fun way! Chicken Soup for the Soul is made with love in the USA and developed by a family-owned and operated company. They use whole ingredients only with protein at the top of the list and no by-product meals. Just as important, there is no corn, wheat or soy and contains no artificial colors, flavors or preservatives. 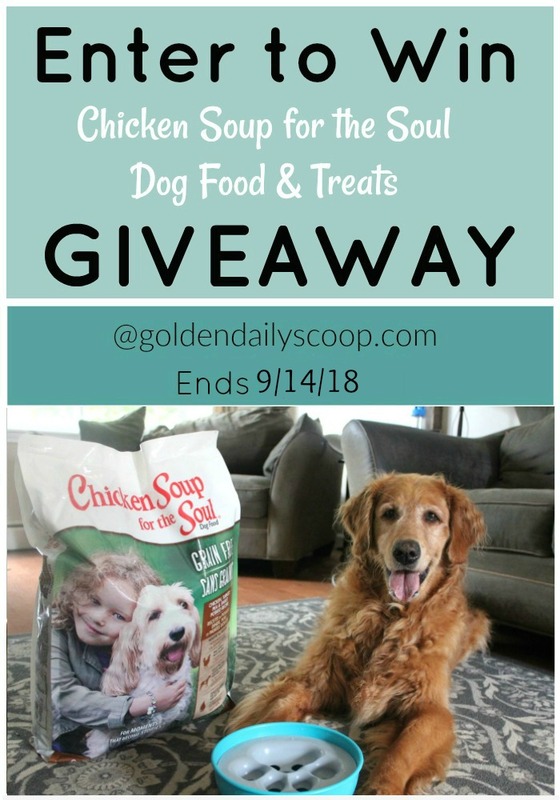 Visit chickensouppets.com to learn more about their food, they also have a great selection of treats that would be perfect for any of these activities. Open to US residents, 18+ Ends 9/14/18. These three have certainly been through their bouts of ear infections and tummy troubles over the years. It wasn't until we started to take a closer look at their diets that we finally conquered them both. We have been treating Miley and Maggie's ear infections since they were little pups and being new dog owners we really didn't understand how their diet effected their health. When we took them home, we kept them on the food that they were given as puppies and eventually graduated them to adult food. 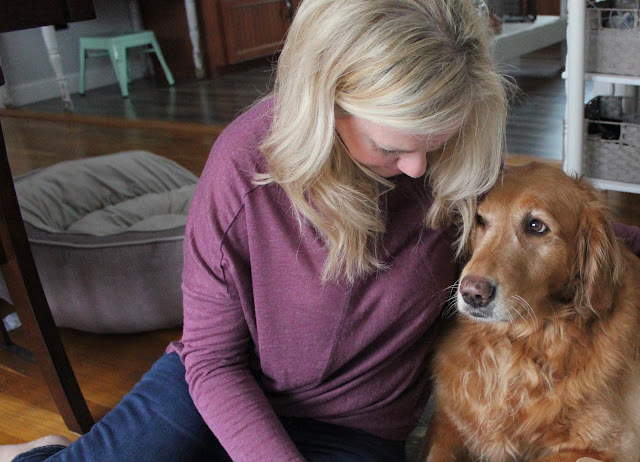 Once we learned how to read the food labels and how certain ingredients may not be beneficial for all dogs we started to narrow down what was causing these infections to reappear several times a year. We first eliminated all corn, wheat and soy from their diet and noticed a big difference in their fur, skin, ears and digestion. Many grain-free dog foods contain more protein than carbs which helps with digestion. 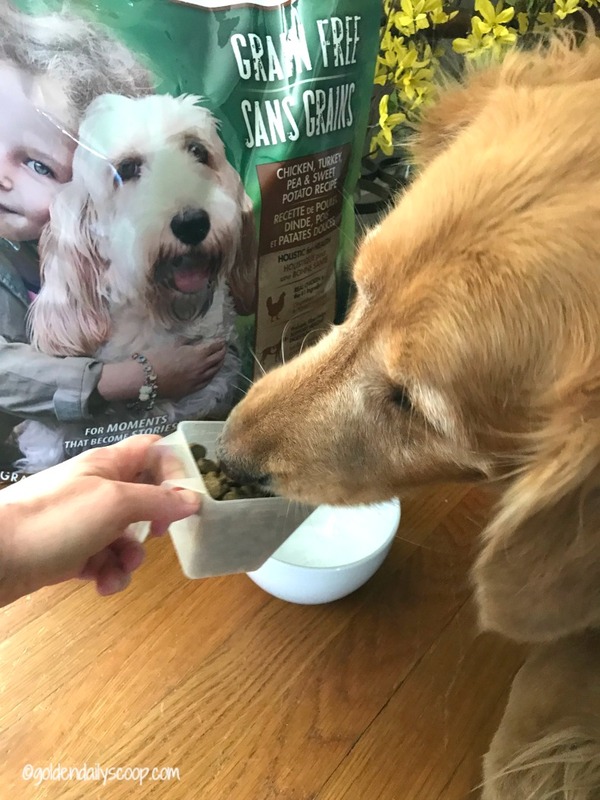 A few years ago when grain-free dog food became more popular and available more widely is when we decided to make the switch and it has been the best decision we have made. Not only have the Goldens had zero ear infections but their ears are so clean and the red is completely gone. Bruin has suffered with digestion issues so putting him on a grain-free diet has helped with his gastrointestinal health as well. One of our favorite brands we have turned to for grain-free dog food is Chicken Soup for the Soul. Miley just turned 10 years old this month so it's so important to make sure she is getting the nutrients she needs in her golden years. She loves the Chicken, Turkey, Pea and Sweet Potato flavor and I love that real chicken is the first ingredient on this list. Having a good quality protein source like chicken and turkey are so beneficial in maintaining her muscle tone. 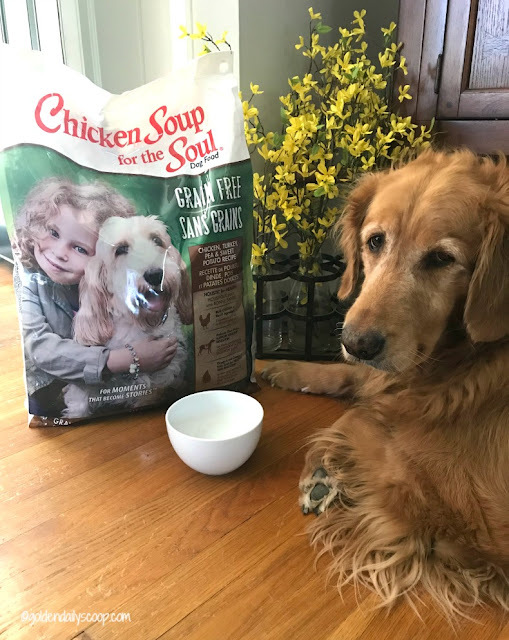 Chicken Soup for the Soul grain-free dog food also contains vitamin and mineral sources like pea and sweet potato and natural Omega-6 and Omega-3 fatty acids which is great for keeping their Golden coats and skin in tip-top shape. It also contains dried chicory root which is a prebiotic fiber source which helps maintain their gastrointestinal health. 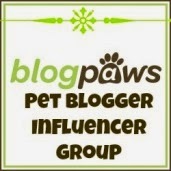 Visit chickensouppets.com to learn more about their food and treats. Open to US residents, 18+ Ends 6/29/18.